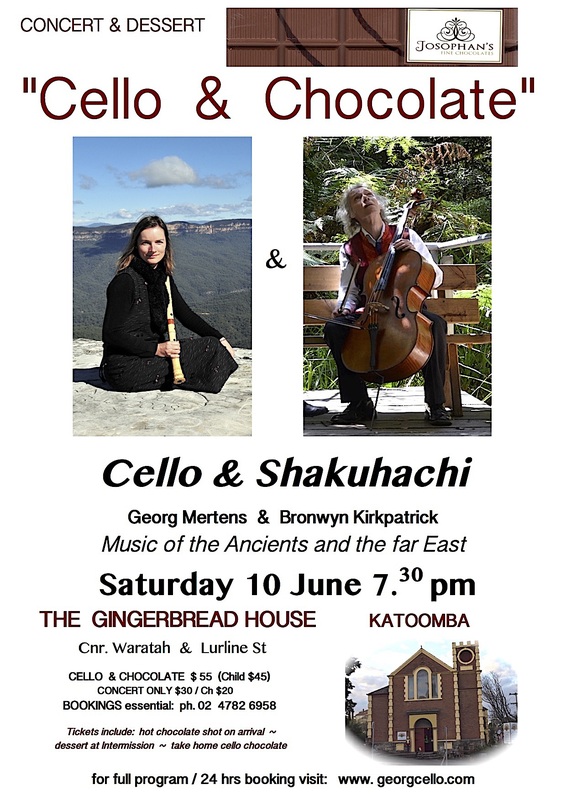 My next concert will be with Georg Mertens on cello, as part of his “Cello and Chocolate” series. Marty Regan’s beautiful work Forest Whispers for shakuhachi and cello will feature, along with local composer Felicity Wilcox’s haunting Tambourin. This entry was posted in Uncategorized on April 30, 2017 by bronwyn.kirkpatrick.